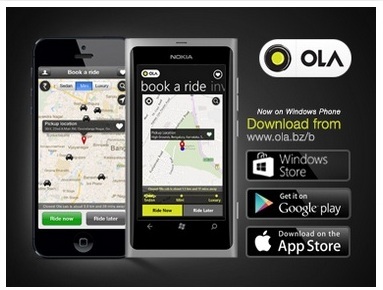 OLA offers cab ride at discounted price of Rs.5/km for Chennai people. This is a limited period offer. Hurry up and enjoy in this October 2015. How to avail this OLA Offer of Rs.5/km in Chennai? 4. Apply the OLA 50% discount offer code 'FIVE' to travel at Rs.5/km. 1. This OLA offer is valid only on mini, sedan rides in Chennai. 2. This offer is a limited time offer. OLA reserves the right to modify/withdraw the offer anytime at its sole discretion. 3. Base fare on your rides will remain the same. What are you waiting for? Recharge now, ride with ola in Chennai and travel at Rs.5/km.